Part of Ilana Glazer and Abbi Jacobson’s appeal is the strength of their personas on Broad City. They seem like women you know, so watching them get fancy and interviewed on the Today show is kind of like watching your college roommate on TV. You want to giggle uncomfortably when they make polite chit chat with Al Roker. Abbi says of the taping experience, “It was very bizarre and this amazing day for the show, for us, our whole crew.” Then they talk over each other for a bit, because they’re so darn excited. 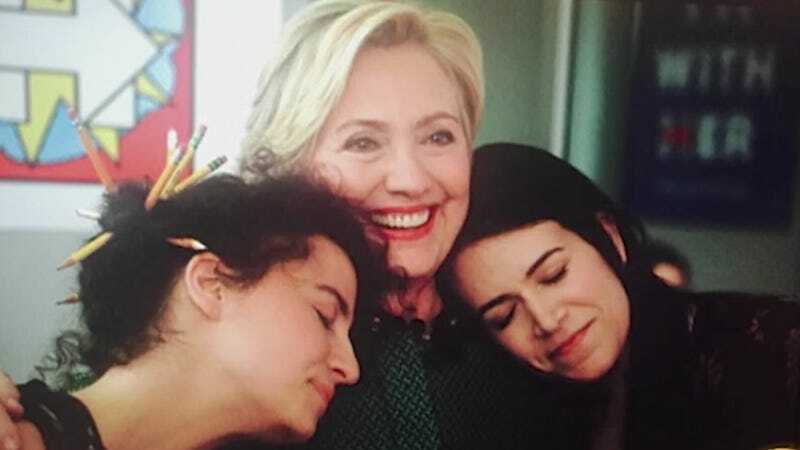 Ilana adds, “It was amazing to watch that in person.” What exactly “that” is will be revealed in the upcoming season, but probably refers to Clinton’s detailed object work.